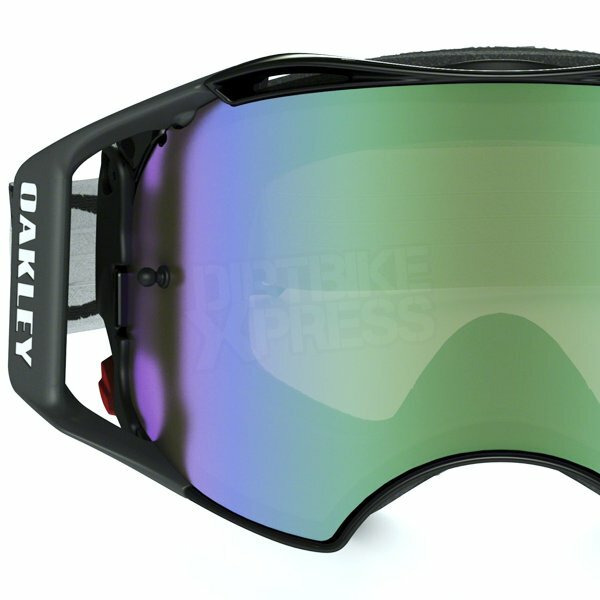 Oakley pleased to announce the launch of the Oakley Airbrake™ MX goggle, a revolutionary product for the Motocross world. The culmination of 35 years of MX goggle evolution, Oakley Airbrake™ MX is a true landmark of technology that will render ordinary goggles obsolete. Forget any notion of what defines high performance. Not since the early days of motocross has a single goggle design brought so much innovation. Essential gear for anyone who rides for glory, rides for sport or just rides, the Oakley Airbrake MX goggle is the new standard of protection, clarity, comfort and convenience. This is the first ever MX goggle with a lens made of Plutonite, the same premium material that shields the eyes of pro athletes who depend on Oakley eyewear. The durability and impact resistance of this unique synthetic has been proven by those who cannot compromise on protection. The ultimate evolution is the inclusion of Oakley’s patented Switchlock Technology. Riders can take advantage of a comprehensive array of premium Oakley lenses and, with the flick of a switch, can swap the lens to match the riding conditions. Made for more than just spotting obstacles, Prizm™ MX lenses help you see subtle transitions in dirt conditions so you can master all those split-second decisions to make the most of the ride. You’ll ride with greater confidence because the precise color filtering helps you pick up fast lines, identify differences in dirt texture for traction control and see deeper into ruts where the shadows live. Prizm™ MX lenses are engineered to perform under a wide range of light conditions, so when the track or trail takes you from sunlight to canopy shade, you’ll have all the performance advantages of sharpened visual acuity and vivid color perception. Not since the early days of the sport has a single goggle design brought so much innovation. Long ago, our founder developed and entirely new goggle that became a mainstay in the sport for 17 years. You are now looking at the future of MX goggles. This is the first-ever MX goggle with a lens made of injection-molded Plutonite. That’s the most optically pure lens material ever utilized for MX goggles, and it’s insanely tough. 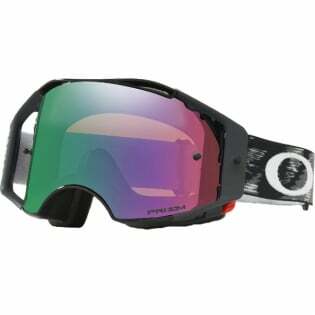 Oakley Plutonite is the same ultra-tough material that shields the eyes of soldiers who can’t compromise on protection, and compared to the flimsy, flexible lenses found in other goggles, Airbrake MX makes you invincible. Riders have to be ready to face whatever conditions Mother Nature throws down. That’s why Airbrake MX is armed with Oakley’s Switchlock Technology. It makes the process of lens changing fast and hassle-free — no more fumbling around to swap out a lens. When a lens is locked securely into the rigid O Matter frame, there is no bending or warping like inferior designs that distort vision. And Switchlock Technology lets you take advantage of our full armory of premium lens tints. From daytime practice laps to the nighttime main event, you can match your lens tint and adapt your vision perfectly to any environment. Now let’s talk clarity. Ordinary MX lenses are stamped from flat sheets of generic material then bent to fit into the goggle frame, and the result of that warping is visual distortion. Safety and performance demand true, accurate vision, so we injection-mold the lenses under extreme pressure to achieve a precise optical geometry. That means you see more detail, and you can believe what your eyes are telling you. It’s the ultimate in clarity and optical fidelity. When a rider is on the track, he needs to be aware of who might be challenging his position. That’s why this sleek design extends peripheral vision to the absolute max. Airbrake MX also offers an optimized fit that takes into account the vertical frame orientation when the rider is in racing position — with bent elbows and crouched over the bars — positioning the lens up and in front of the eyes. This goggle is the culmination of every breakthrough we’ve made, including three decades of refinement in comfort and fit. It features an exoskeleton frame, with a durable yet lightweight O Matter exterior mated to a flexible urethane faceplate. The rigid outer frame holds the lens securely, and a pliable inner faceplate with plush, absorbent foam conforms to your face like it was made just for you. 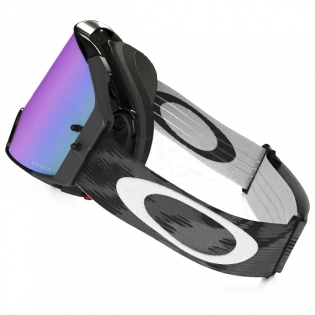 We engineered this goggle for instant adaptability, and that goes beyond Switchlock inter-changeable lens technology. Airbrake MX is the Swiss Army knife of goggles. You can easily swap out replacement faceplates, outrigger configurations, and straps. It’s fully adaptable, configurable, serviceable. 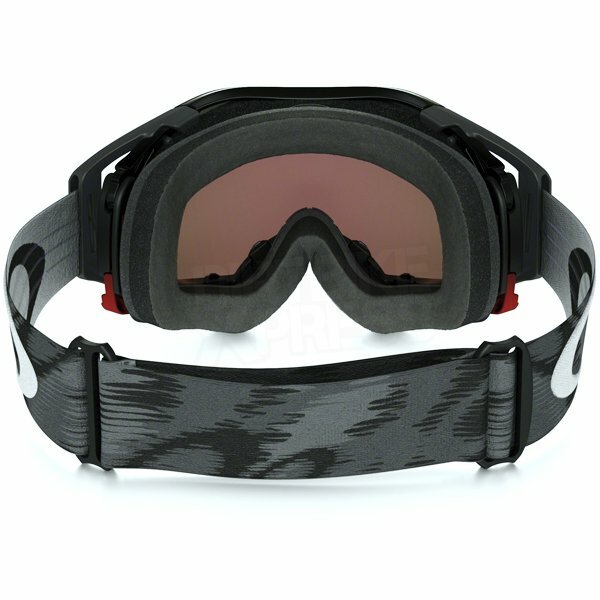 This is truly the one goggle that can do it all.